Martha Berry thanks Mr. Martin for allowing her students to hold their Sunshine exhibit at The Bon-Air and asks that he let her know what time they can arrive. 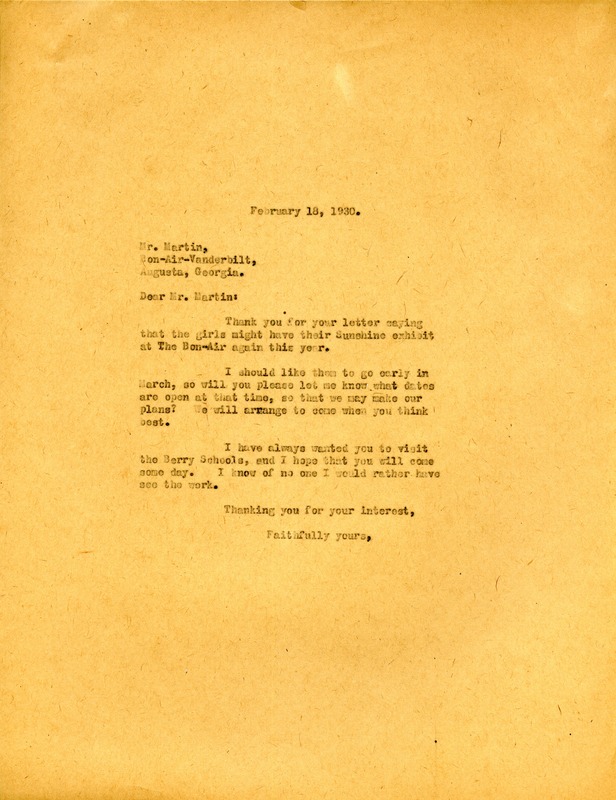 Martha Berry, “Letter from Martha Berry to Mr. Martin.” Martha Berry Digital Archive. Eds. Schlitz, Stephanie A., Christy Snider, Angela McCavera, et al. Mount Berry: Berry College, 2013. accessed April 20, 2019, https://mbda.berry.edu/items/show/13364.